Good food is essential. And especially in senior living where residents are daily repeat customers, it should be fun, too. We’re gathering the leading operators and innovators who are building the future of dining in senior living for a first-of-its-kind event. Here, it’s all about dining—from education to networking, amazing food and a whole lot of fun. 8:30 - 9:00 AM — Keynote Speaker: Sister Madonna Buder "The Iron Nun"
1:15 - 2:00 PM — Dining Space Renovation: Balancing Costs and Marketing Efforts Renovating dining spaces are ambitious projects, and more often than not budgets can get away from us. This interactive panel discussion dives into strategies to control costs, maximize space and use the renovation process as a marketing and retention tool. Why should I attend Dished?Dining is the second-largest expense for senior living providers and we LOVE food. Dining deserves its own event as it is one of the most critical components for senior living operators. Join us to help develop the next-generation dining experience and network, gain knowledge that you can take back to your senior living communities. What's the address?The Chicago Boelter Event Center is located at 1071 W. Division St., Chicago, Illinois 60642. Where should I stay?If you're attending Dished and looking for overnight accommodations, we recommend Hotel Lincoln, The Robey Chicago or the Hilton Garden Inn. 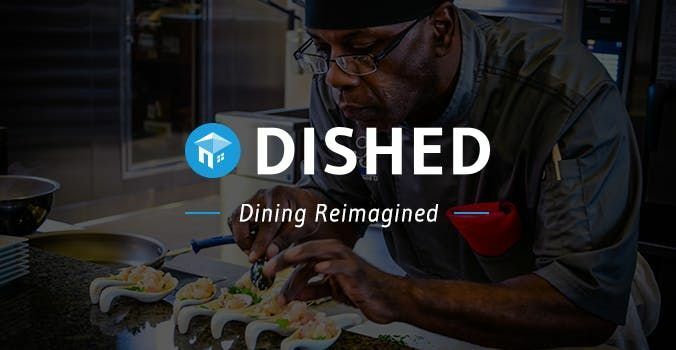 Who attends dished?Dished is a B2B event for executive leaders in senior living and dining operations. At Dished, you'll find CEOs, Presidents, COOs, Executive Chefs, Dining Directors, VPs of Dining, VPs of Operations and more. Is Dished really all about dining?Yes! We created an agenda that is 100% focused on dining management and operations. We're bringing the best in the business together to share their brightest ideas to drive senior living dining forward. Will there be food?Yes! During the event, we'll be serving breakfast and lunch, and the event will conclude with a cocktail reception. You'll also be tasting chef samples/bites along the way. We promise you won't leave hungry. I would like to be a sponsor of Dished. Who do I contact?Please reach out at aGkgfCBzZW5pb3Job3VzaW5nbmV3cyAhIGNvbQ== or call 312-281-8802 for more information.